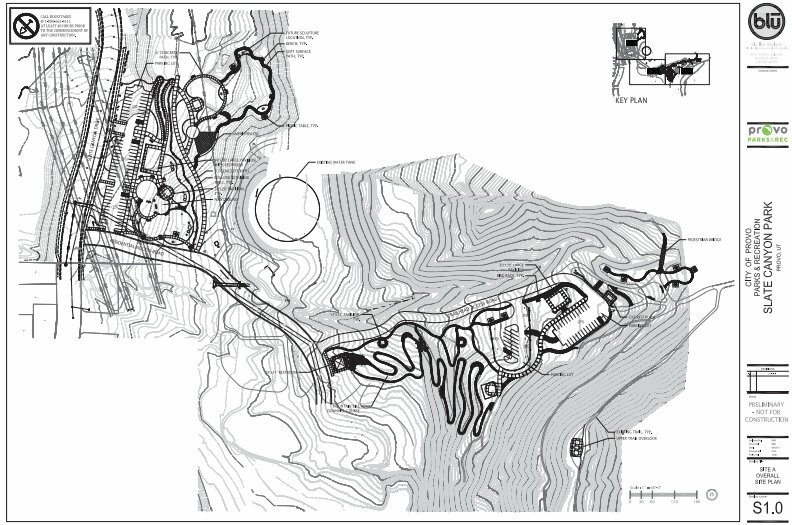 The Bike-Skills Park is part of Slate Canyon Park, located from the mouth of Slate Canyon down to and on both sides of Slate Canyon Drive on an expansive 63.9 acre site. The park plan created by Blu Line Design is divided into four different sites that will be developed over the next several years. 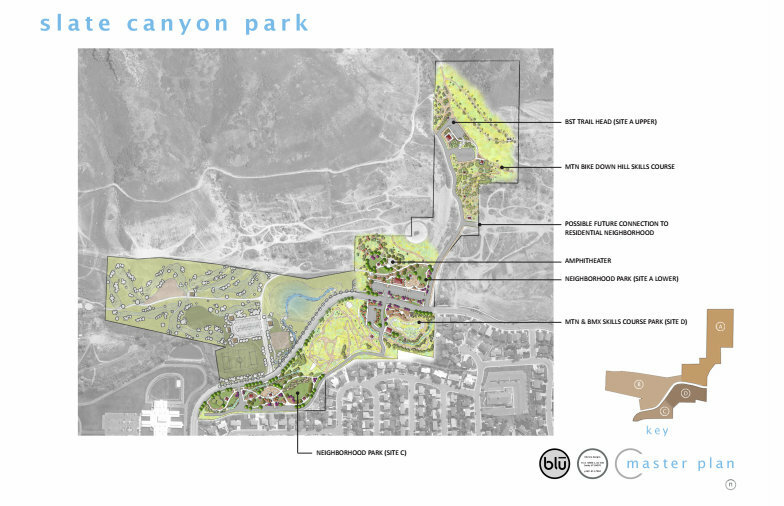 The park will include grass play areas, tennis courts, picnic sites, a disk golf course, playgrounds, pavilions, restrooms, and of course Provo’s first dedicated park for bicycling. 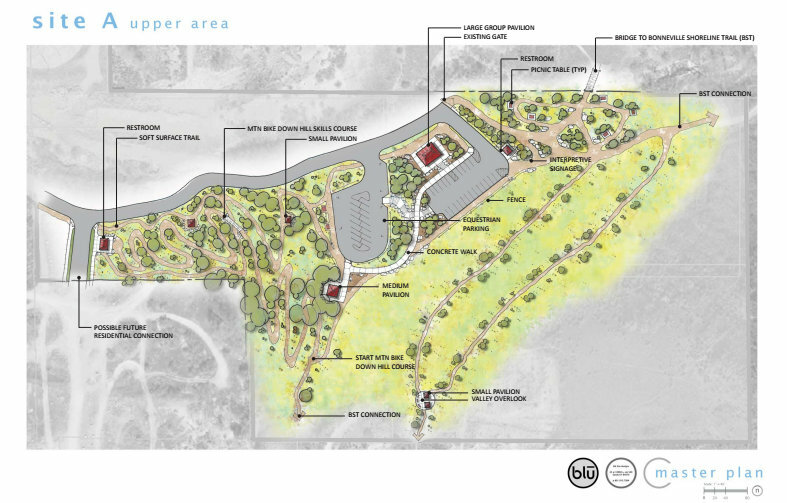 The Bike-Skills Park will be divided between two sites, Site A and Site D. The top of Site A, located at the mouth of the canyon, will connect to the Bonneville Shoreline Trail that runs along the top of the bench. At the top of Site A bicyclists can whiz down a downhill mountain bike skills trail and then pedal back up a loop that makes a gradual climb to the top. Site D will feature a mountain bike/BMX skills course. 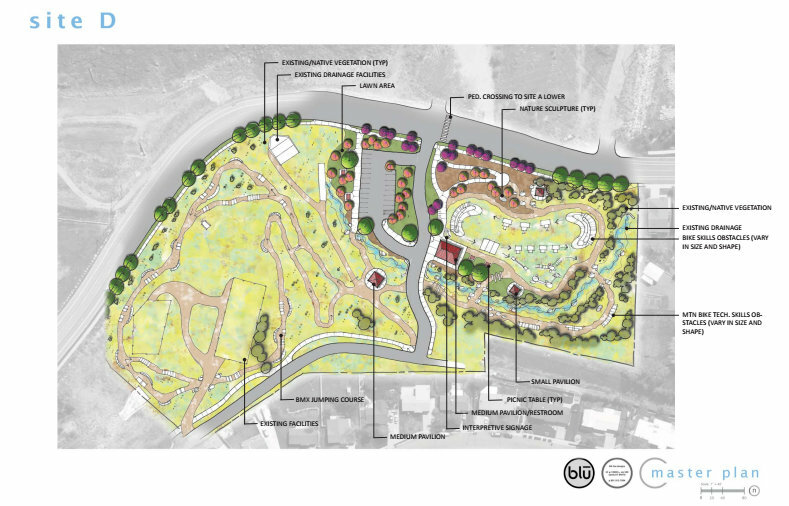 Elements in these two sites will include a pump track, a skills development area, a flow trail, and jumps all taking advantage of the natural terrain and wood and rock features such as drops, ramps, and bermed turns. One of the best things about bike-skills parks is that they can be enjoyed by bicyclists of all ages and skill-levels. 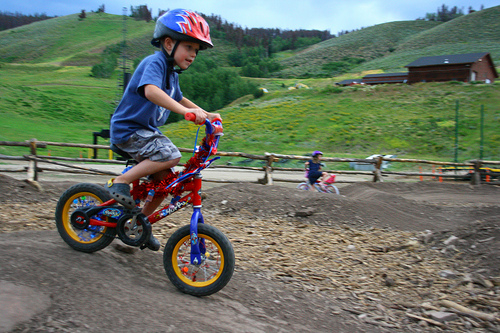 Rises and falls and bumps and jumps on the downhill trail and pump track are built at various heights so bicyclists of varying experience have a variety of options for how challenging or relaxing they want their ride to be. This character of bike-skills parks makes them a great draw for families—from grandparents to children. Another great aspect of bike skills parks is that they allow the community to be involved in literally shaping the trails. 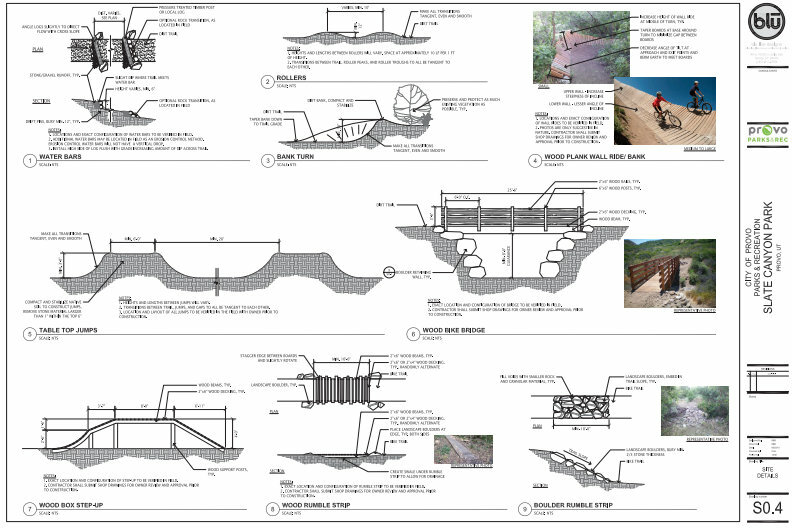 Construction on Site A will begin in Spring 2014 and the volunteers will have the opportunity to help build the trails, which are best constructed by hand and by riders who know how trails should be crafted. The local bicycling community, led by the Provo Bicycle Committee, has already played an important role in the inception and planning of the park. The idea for a bike-skills park in Provo was conceived after committee members attended the Utah Bike Summit in 2012, and since then committee members John Washburn and Brenden Wiley have provided invaluable feedback to the city park and design firm officials, who have graciously welcomed their input and expertise. We invite even more members of the public to get involved as we construct the very trails we can all ride together. 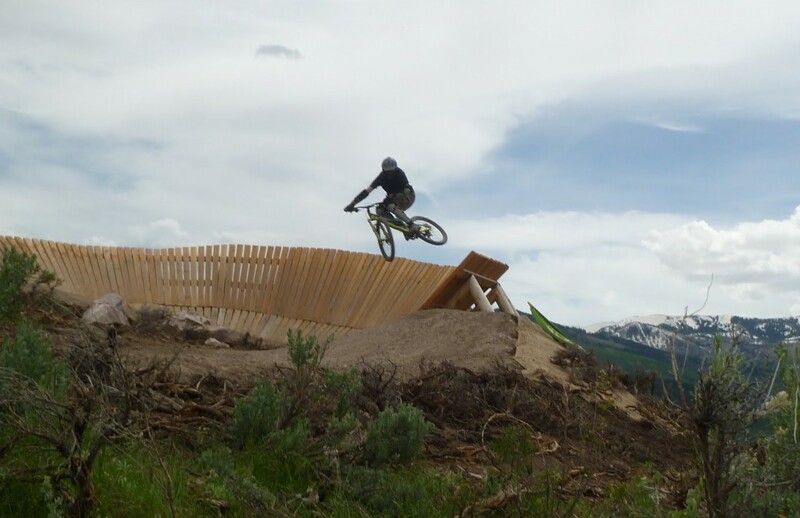 This entry was posted in Bike Advocacy, Bike Paths, Mountain Biking, Provo Bicycle Projects by Jamie. Bookmark the permalink. How do I help build these trails? Trace, thanks for your interest, please join the provo bicycle committee facebook page. We are working on creating a trail-building group and information will be available through that site. Is there an update for how the planning is going for this park?